A New York-based Registered Investment Advisor who specializes in financial planning and investment management, and manages $180 million in assets, recently asked us to review and evaluate a long-term care (LTC) policy that a client had purchased. The client, a 65-year-old man, had purchased the policy in 2012. Due to the these scheduled premium increases, the client would eventually be paying over $16,000 a year in premiums by the time he was 84. We used financial modeling to analyze the policy within his financial plan and found several warning signs. We evaluated the client’s assets under three assumptions: 1) no LTC claim, 2) a permanent claim in 10 years and 3) a permanent claim in 20 years. Without LTC insurance, the clients assets depleted before age 100 under a claim scenario. However, the existing policy’s premium increases became a financial burden over time to maintain the benefit. The client had enough assets to assume some risk associated with a claim and needed insurance to balance the risk. The new policy cost over 22 years is $88,000 versus $178,282...a $90,282 savings. The financial modeling on this plan put the client on very sound footing going forward and ensured that his financial plan will succeed, whether or not he suffers a long-term care situation. 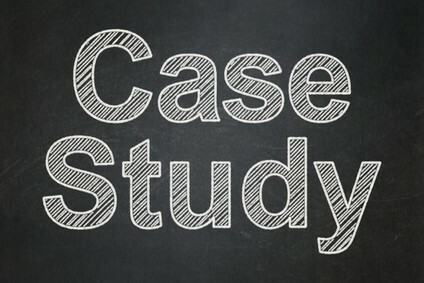 This case study just shows how having experts evaluate your clients’ long-term care options can save them a great deal of money, while also ensuring that they are getting a plan that will provide them with the type of solid coverage they may need one day. All guarantees are based on the claims paying ability of the issuer. This case study is for educational purposes only and should not be construed as specific financial, legal or tax advice. Depending on individual circumstances the topics covered may not be appropriate for your client’s situation. Testimonial(s)/recommendation(s) may not be representative of the experience of other clients and/or peers and are not indicative of future performance or success.